According to Wikipedia, Qui was formed in 2000 in Los Angeles, CA, by drummer/vocalist Paul Christensen and guitarist/vocalist Matt Cronk. Since their first performance in LA in early 2001 and the release of their first full-length CD, Baby Kisses, on the Minneapolis-based Heart of a Champion label in 2003, Qui (pronounced, “Qui,”) maintained a prodigious pace of both local performances and national tours. Their idiosyncratic blend of punk, noise, and rock punctuated with avant-garde weirdness, coupled with their advanced musical prowess earned them a reputation for intense and often-times antagonistic shows. In late 2006, Qui had the serendipitous good fortune to collaborate with vocalist David Yow of The Jesus Lizard/Scratch Acid fame, first as a guest and eventually as a full-time member. Shortly thereafter, the trio released the single, “Today, Gestation” b/w “Freeze” on the Los Angeles-based Infrasonic Sound Recordings label. After a brief spring tour and two acclaimed performances at the South By Southwest music conference in Austin, TX, Qui partnered up with Mike Patton and Greg Werckman’s Ipecac Recordings, for their second full-length release entitled, Love’s Miracle, which was released on September 11, 2007. With it came a full tour of the US and Canada, followed by a trip to the UK and Europe. 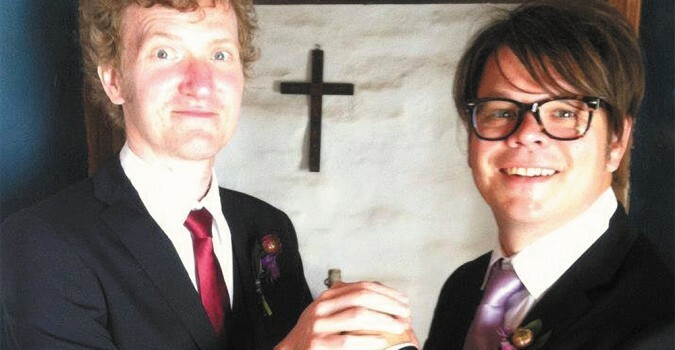 After returning home from Europe in Dec of 2007, both Yow and Cronk were hospitalized with life-threatening medical conditions and were forced to cancel a planned Spring tour. The band spent the first half of 2008 licking its collective wounds and were back in action by August with a make-up tour of Europe. In October of 2008 Qui played what would be their last two shows in the US for the next four years; at Spaceland in Los Angeles and Annie’s Social Club in San Francisco with The Heroine Sheiks. During the next six months they began recording the follow-up to “Love’s Miracle.” The sessions resulted in The Little Golden Blanket, a limited edition seven-inch featuring two new songs, released in May 2009 on Infrasonic Sound Recordings. In 2009 Qui was invited to play at the All Tomorrow’s Parties festival in Minehead, England, along with Devo, Sleep, HEALTH, Harvey Milk, and for the first time in ten years, The Jesus Lizard. The rest of the year had Yow’s calendar full with The Jesus Lizard’s highly anticipated reunion tour, during which time Christensen focused on two new musical projects; the rock band, Help, and his staggering country/jazz/bossa nova duo, Paulene. Yow has kept busy since the conclusion of The Jesus Lizard reunion in 2010. In addition to a reunion tour of Scratch Acid in 2011, he has had several solo exhibitions of his paintings in the US and Europe, started his own custom portrait website, getfaced.net, and embarked on a successful career as an actor. In 2011 Cronk and Christensen began playing together again. With no real agenda, the duo spent the better part of a year writing new music. Yow was by then fully engrossed in his new endeavors and unable to commit to playing full-time, so Qui elected to proceed as their original line-up, with future Yow collaborations an imminent possibility, schedules permitting. In August 2012, Qui entered Entourage Studios with renowned engineer Toshi Kasai, and Melvins drummer Dale Crover in the producers’ chairs to record their third full-length release, Life, Water, Living… True to form, (or lack thereof) the new record is in many ways a departure from their earlier work, relying heavily on dual vocal harmonies and employing new instrumentation like bass guitar and keyboards. 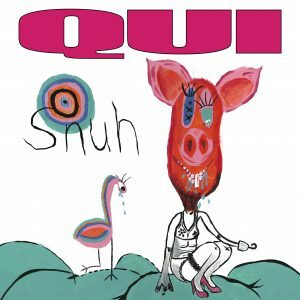 In July, 2013, Qui released, “Awkward Human Interest,” a limited edition spit 7″ single with Mike Watt + The Secondmen on ORG Music. Life, Water, Living… was released in February 2014 through Cobraside Distribution.